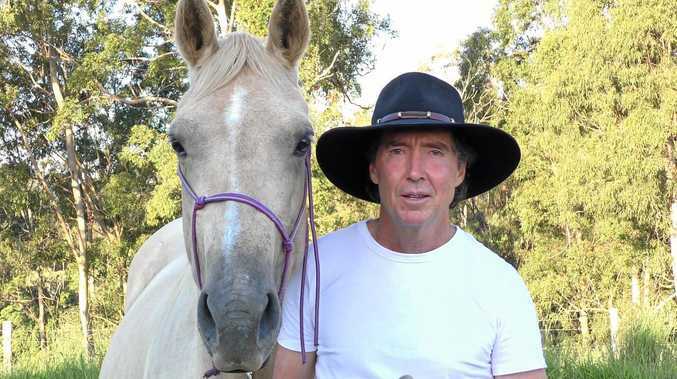 A LITTLE over eight months ago, Christian Hermann was lying paralysed and in an induced coma in the intensive care unit of a Brisbane hospital. Today, in what is a testament to his courage and determination, the 13-year-old will line up with his beloved Brethren for the opening round of the Rockhampton and District Junior Rugby League season. 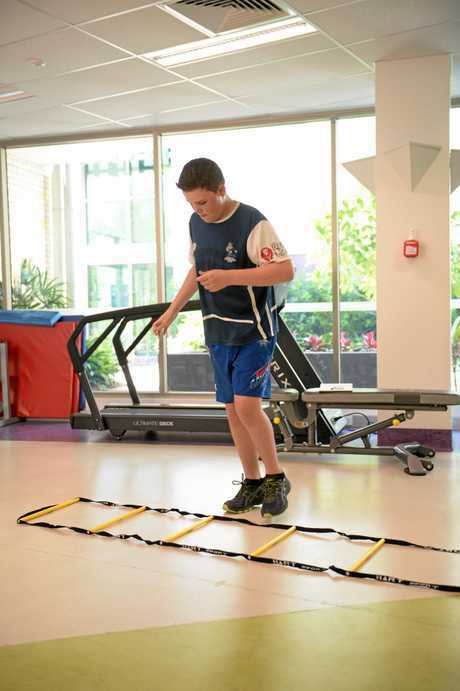 It has been a remarkable journey for the Rockhampton schoolboy, who in May last year was struck down for the second time by Guillain-Barré syndrome. GBS is a rare neurological disorder in which the body's immune system attacks part of its peripheral nervous system. Christian was trialling for the CQ Capras under-13 side in May last year when the early symptoms emerged. 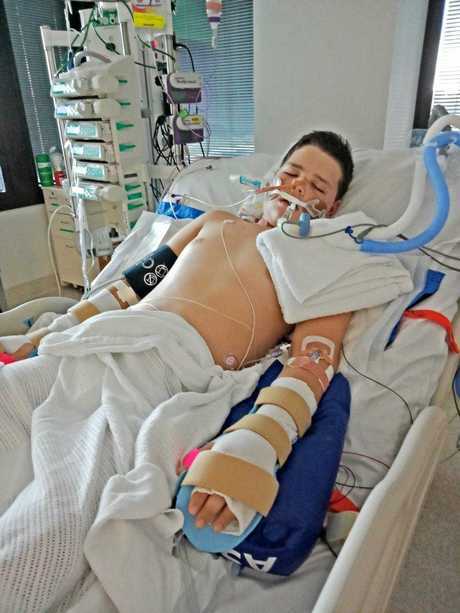 He was flown to Lady Cilento Children's Hospital and placed in an induced coma when the condition progressed to a point where he could not breathe and was unable to move any part of his body from the neck down. But just as he did as a six-year-old, the brave youngster known as "The Hermannator" would defy the disease. It has been challenging and incredibly painful, but Christian stands poised to conquer a significant summit when he runs on to Victoria Park at 5.30pm today. He looks fit and well, and as he warmed up for a training session this week you could not imagine how harrowing the past eight months have been. There is a glint in his eye and a hint of excitement in his voice as he talks about his return to rugby league, something which has been a great motivator in his recovery. Jason Taumalolo Video for Chistian: Cowboys second-rower, Jason Taumalolo recorded a special video for his biggest fan and sick Rocky boy Christian Hermann. He woke from his coma briefly and broke down in tears as he watched the video. "I'm so happy to be back. I didn't think I would be here but all the determination has brought me to this stage," Christian said. "I'm anxious but excited at the same time. It's the first game back so you can't beat it. "I just want a good game but I want to win. That would be a good way to start the season." Christian will move from his familiar position of lock to prop this season but it's a change he's looking forward to. The team's assistant coach, Luke Peachey, has been a source of strength and support to the Hermann family. He, like so many others, is astounded by the incredible progress Christian has made. "It's a miracle to see him back and ready to play contact sport again," he said. "For him to be back as quick as he is just shows how mentally tough he is and I'm really excited to see how he goes on Friday. "I'm sure he'll be leading from the front just as he did before this disease." Christian's mum Kathryn Cordwell said her son's positive attitude had been a major contributor in his return to health, as was his love of league and his desire to play again. "He's refused to let it hold him down and he's pushed and pushed," she said. "Medically they are blown away by how well he has recovered. He had pain everywhere, and it was like having a full-body toothache. "Christian doesn't take pain medication, he doesn't like it. He prefers to dig deep and push through it, but he's also got to know when to listen to his body, to know when enough is enough. "Getting back on the field has really driven him. He has been looking forward to this day for a very, very long time. "He's so excited but for me there will be some nerves. I might sit at the back with my dark sunglasses on so I can cry without anyone noticing." Kathryn and partner Chris could not have imagined what their son was in for this time. "From what I understand, Christian is the only person in Australia to have it twice and the odds of fatality were incredibly high at one point," she said. 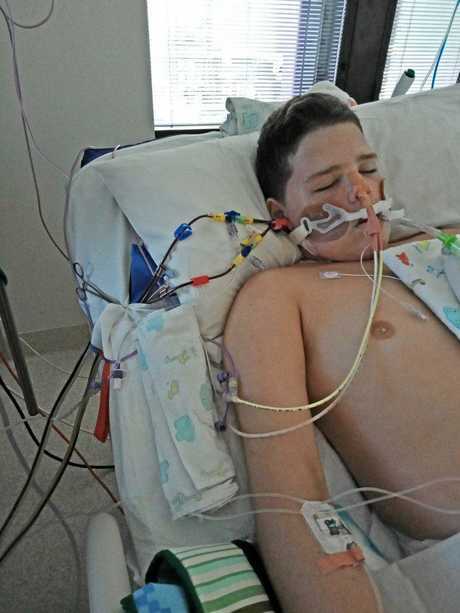 "I realise now how incredibly lucky we were the first time that it didn't reach his lungs." Kathryn and Chris have watched on, sometimes in disbelief, as Christian reached milestone after milestone in his recovery. "I'm definitely in awe of him and so incredibly proud," Kathryn said. "He's inspirational and proof that if you can put your mind to it you can achieve anything. "Christian is so focused that I'm sure he's going to succeed in anything he wants to do in life now." Autoimmune disease in which the body's immune system begins to attack the peripheral nervous system. The symptoms can occur quite rapidly over hours to days or slowly over weeks. Most patients reach peak weakness within the first four weeks. The cause is unknown but usually follows a viral or bacterial infection. Patients can spend three months or more in hospital and may take a year to recover. Some people have residual weakness, numbness and pain.